No-one expects the coming federal election to be decided on the fundamental challenges facing Australia’s economy and manufacturing sector. But there are signs of a more progressive attitude towards industry policy and some understanding of the massive changes being wrought by innovation in product and production processes. To my mind, one of the most positive signs are more nuanced views from business on what is needed to escape Australia’s low-value, commodity dependent rut. These are typified in the Ai Group’s just released policy priorities which are more focused than in the past on manufacturers specific concerns, and less on general business issues such as ‘lower tax’ and ‘less red tape’. 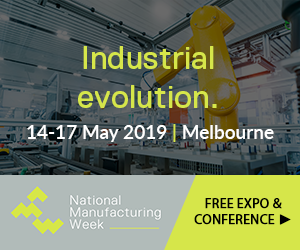 Over the past three years manufacturing has been growing and industry has been changing rapidly, suggesting that we are doing some things right. But the destruction of the car industry in 2017 by the Coalition has to be a black mark against this government. Another failing is a collapse of business expenditure on innovation driven by the coalition’s massive cuts and mishandling of R&D incentives. Business innovation, the lifeblood of industry’s future, fell from 1.23 per cent of GDP in 2011-12, to less than 1 per cent last year. The recent budget added insult to injury with a $1.35 billion cut to the incentive on top of $2.4 billion cut the previous year. Looking back, the Coalition’s industry record has been crippled by its’ six industry ministers in only five years, and industry’s removal from Cabinet by Malcolm Turnbull. While Scott Morrison brought Karen Andrews back into Cabinet, little really good policy came of people so short in the job. Ironically, the Coalition itself in defence has shown how effective policy and an empowered minister can drive industry development. The stimulating effects of cutting edge technologies and production processes created in defence under Christopher Pyne‘s watch will be felt for a long time, and have already created a coterie of globally competitive, exporting SMEs. The Labor side, quite apart from its still unclear changes to workplace bargaining, faces the opposite problem to the Coalition. Instead of staying too short a time in the job, we have industry spokesman Kim Carr who has arguably been in his a very long time, perhaps too long. While his commitment to manufacturing is rock-solid, in his last term as a minister he focused too much on the science side of his portfolio and too little on industry. One wonders whether Carr can remake himself, and have greater influence in Cabinet than in the last government, to match the challenges of AI, digitisation, industry 4.0, the internet of things, and the urgency of replacing our commodity exports with value-adding manufacturing. One exciting proposal from the opposition is a $1 billion Advanced Manufacturing Future Fund to invest in manufacturing alongside private investors. This is modelled on the Clean Energy Finance Corporation brought in by the last Labor government. This has been so successful, and profitable, in co-investing in renewables that it has fundamentally changed the investment landscape. Both parties have embraced of late what I think is the future as the world turns against our dirty fossil fuels – clean hydrogen produced from solar energy and exported. But we need a far bigger vision and effort than either has so far proposed. We all know that government’s are not the answer to manufacturing’s future – that is in our hands – but it can achieve far more. Labor is always more activist when it comes to industry policy. But perhaps Pyne’s lesson can be learned by the Coalition, and Carr has moved on enough so we can have a real contest of fresh and new ideas in the campaign. Certainly both sides are now capable of such thinking.